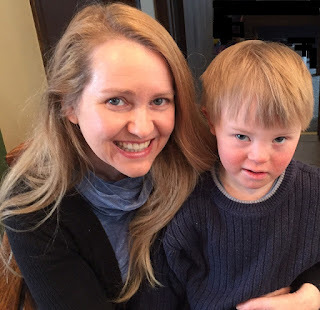 Two Down Syndrome Conferences for the Price of One! Registration already includes free access to the 2016 videos, so this is a great bonus! Note: Several speakers will include information about Green Tea Extract in the Down syndrome population in their presentations at the conference. Optimized Nutrition is Essential for those with Trisomy 21. Where’s the Debate? 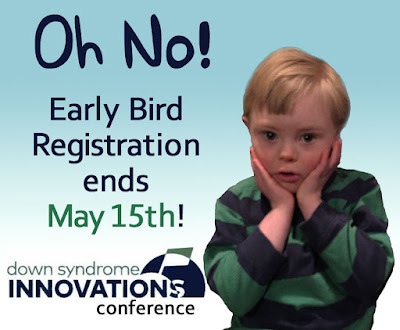 Early Bird Registration ends May 15th. Secure your spot today! Don't miss out on this one-of-a-kind opportunity to hear dynamic researchers, physicians, therapists and advocates present cutting edge translational medical research and interventions to improve the health, cognition, behavior and development of individuals with Down syndrome. Make new friends and connections. Network with other attendees who share the common goal of exploring ways to enrich the lives of individuals with Down syndrome. Be able to speak face to face with expert vendors of supplements, quality service providers and try out innovative products for yourself. 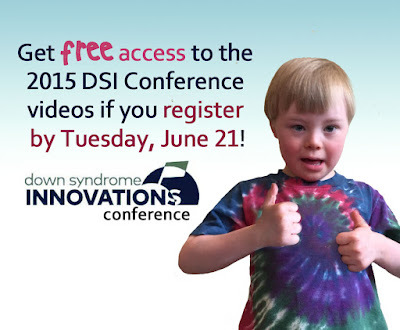 Check out the Down Syndrome Innovations conference website for details. Also join the 2016 Down Syndrome Innovations Conference Event Page for up to date news. Preorder your Readeez Volume 4 DVD Today! 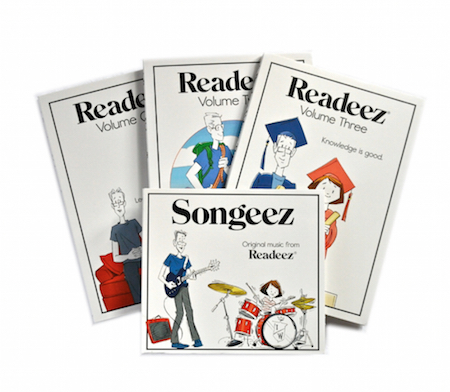 For those of you haven't heard of Readeez, it's short musical, educational video songs. In them, the words come up the same time that the child hears them. 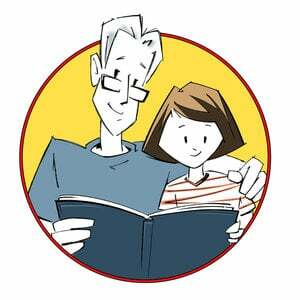 So kids are learning to read with them as well as concepts such as math, money, planets, etc. Readeez is working on a new DVD and have GREAT specials so that you get Volumes 1-3 and preorder Volume 4. But you only have a few days left to do it! For $10 you can preorder the digital download of Volume 4. For $50 you can order the whole set to be donated to a family w/a child with Down syndrome or ASD. For $75, you'll get the Readeez Volume Four DVD/CD set, signed by Michael Rachap, weeks ahead of the August release. Your name (or your child's) will appear during the closing credits. Plus you get the digital versions and the sticker. As well as everything in the Readeez Mega Bundle (that's 3 DVDs -- Volumes 1-3, 1 CD called Songeez and 6 digital downloads). Jett learned all the Presidents of the US as well as all 50 states by listening to Readeez. (I guess that's how--I didn't teach him!) It's also the perfect distraction while feeding your child supplements, getting a hair cut or getting blood work done. 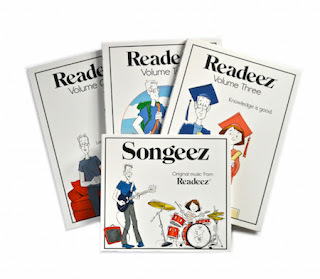 Yes, we've used Readeez successfully for all three. So not only can Jett read, but he also has nice hair, a good nutritional panel and up-to-date labs. Readeez is pretty amazing! Don't let this opportunity to support quality products for our kids slip from our fingers!